Lions Park Aquatic Center is a new $3.5 million aquatic facility, which replaced the city’s outdated swimming pool. The new aquatic facility, designed by Counsilman-Hunsaker and Peckham and Wright Architects, has over 9,300 sq. ft. of water. 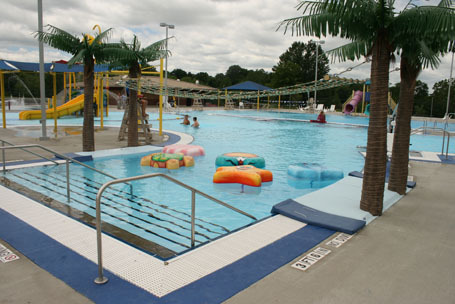 The Grand Opening of the new aquatic center was held in May 2011. The new facility includes an outdoor multi-purpose pool and outdoor water sprayground. A bathhouse complete with men’s and women’s locker rooms, family changing rooms, operations offices and concession stand was also included in the design.